You heard me: Michelangelo has an art exhibit on at the MAXXI. 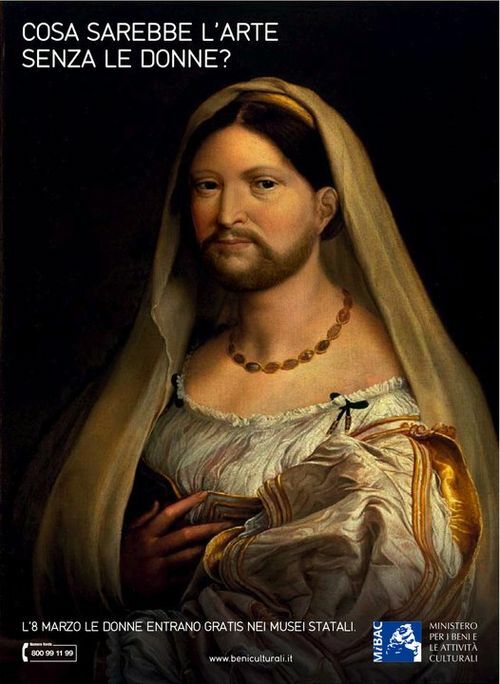 But no, not that Michelangelo. Michelangelo Pistoletto. Haven't heard of him? In brief, he was one of the major forces behind Italy's Arte Povera movement. 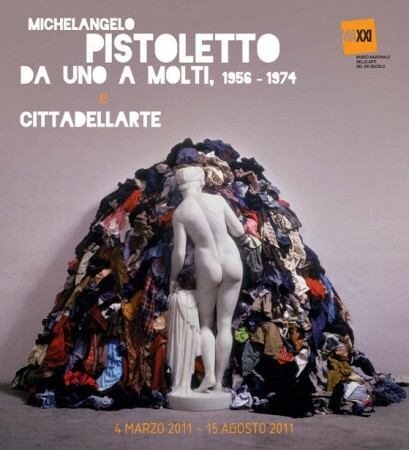 * Pistoletto pushed the envelope of conceptual art, making a Venus out of rags and paintings out of mirrors. And then he kept going. Today, he's considered one of the most important Italian artists still living. After seeing the exhibit (on at the MAXXI, Rome's famed contemporary art museum, until August 15), I have something else to add: Pistoletto is just damn fun. You don't have to "get" 20th-century art to understand what he's going for. Or to like him. That's because his pieces are whimsical. Interactive. Thought-provoking, even for someone who's never thought about contemporary art before. For Pistoletto aficionados, the show does an excellent job of walking you through his career and his approach to art. With more than 100 pieces, it's also thorough. And it has some of his most famous works, like Globe, the huge ball of newsprint that Pistoletto first rolled through the streets in the 1960s, and still, occasionally, goes for a roll. 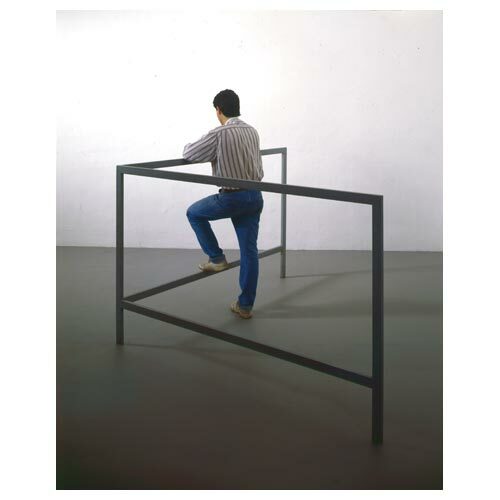 (Image, below, courtesy of Pistoletto's own website. Unfortunately, no photographs are allowed in the MAXXI). Not already a Pistoletto (or contemporary art) aficionado? You'll still be caught up by the "Mirror Paintings" section, which boasts dozens of mirrors painted with life-sized images. Yes, this schtick was one of the things that put Pistoletto on the map. But it's also plain old playful. You can see yourself as part of a Vietnam demonstration, as looking over a balcony with three women, behind prison bars, or, most eerily, with your head in a noose. Personally, though, I loved his "Minus Objects." Each piece looked relatively simple… but, like the best art of any generation, asked you to look, or think, twice. That large cube standing over there, tied together with string? It's actually six large mirrors tied together. Facing inward. Hence the title: A Cubic Meter of Infinity. Or that odd-looking structure, almost like a railing, but not quite? It is, of course, Structure for Talking Standing Up. The title made me laugh out loud. Because that's exactly what it looks perfect for… and nothing else. Don't believe me? Here it is. (In the actual exhibit, the man is not included. Nor, unfortunately, are you able to try it out yourself). It's true, as the New York Times recently pointed out when reviewing the show's first stop in Philadelphia, that, "It does not inspire confidence that Carlos Basualdo, the museum’s curator of 20th-century art and the show’s organizer, mostly ignores the last 35 years of the artist’s work." But I have some beef with what the Times calls a nagging question in the exhibit: "Does Mr. Pistoletto’s art, its influence aside, hold up to the test of immediate experience." If a piece of art can make you wonder, inspire you to pull funny faces, can even make you laugh out loud — well, I think that's the whole point. After all, too much of art, especially contemporary art, seems anything but accessible. Not this. And for that experience alone, please: Before August 15, head to the MAXXI. 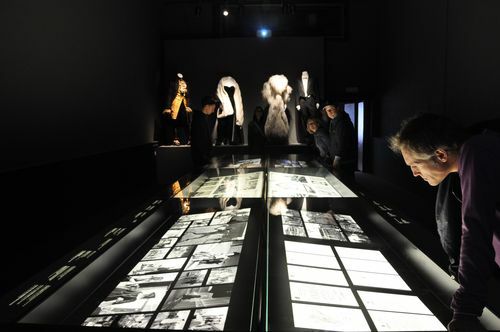 The MAXXI is open Tuesday, Wednesday, Friday, and Sunday from 11am-7pm, and on Thursday and Saturday from 11am-10pm. It costs 11 euros; if you're between the ages of 15 and 26 and you go as a couple (as in two people, no romance necessary), you get 2 tickets for the price of one. The MAXXI is located on Via Guido Reni 4a. For a map, click here. 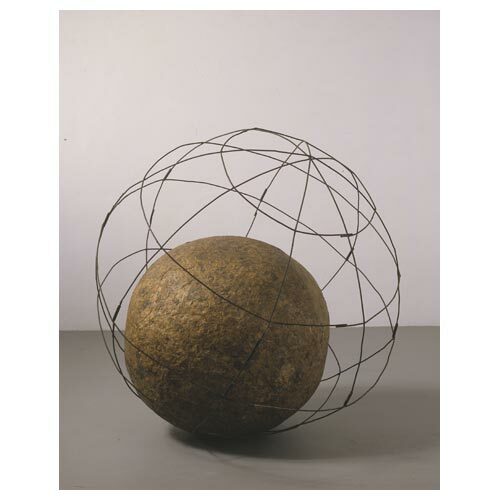 *And if you haven't heard of that: Arte Povera is, essentially, when 1960s artists started playing with the idea of what materials were needed for art and, therefore, what art really was. It produced whimsical pieces like Giovanni Anselmo's 1968 Structure that Eats, which had vegetables between two stone blocks — the idea being that when the veggies rottied, a block would fall. Even crazier than the idea of a ginormous, gift-giving bunny is the fact that, on Easter, Rome actually keeps its museums and monuments open. Instead of closing them, which is usually par for the course on national holidays. Like last year, therefore, you can look forward to lots of sites being open this Easter Sunday and Monday (including even those museums that would normally be closed Mondays). 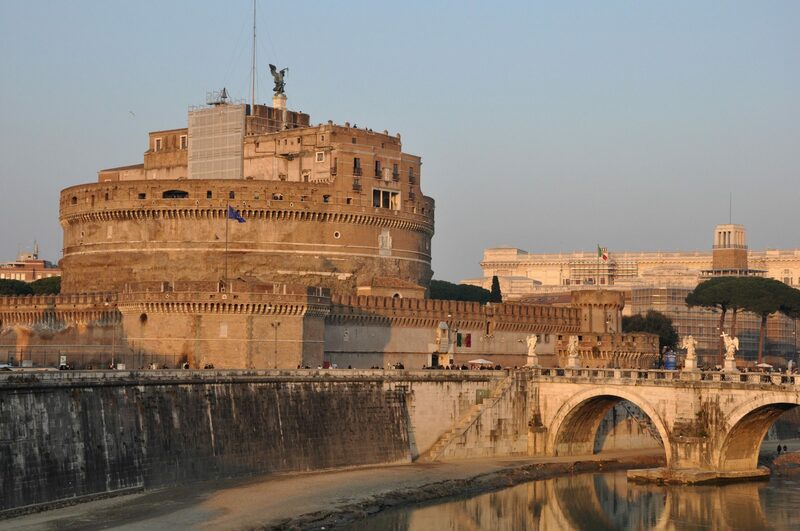 Sites open include the Colosseum, Borghese Gallery, Ara Pacis, Palazzo Massimo, Capitoline Museums, Palazzo Barberini, Galleria Corsini, and Castel Sant'Angelo (above). The exceptions: MACRO Testaccio and La Pelanda, which will remain closed. So you can sightsee as much as you want to! And that leaves just one big question: which restaurants will be open for Easter. That means, of course, that Rome's going to celebrate in style. Including with free museum openings, shows, and other festivities. All day. Free museums. 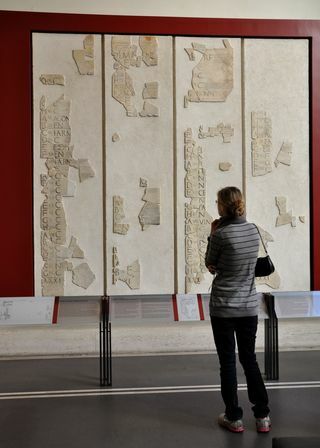 Rome's municipal museums are free, including great, off-the-beaten-path gems like the MACRO, Montemartini, and Ara Pacis. 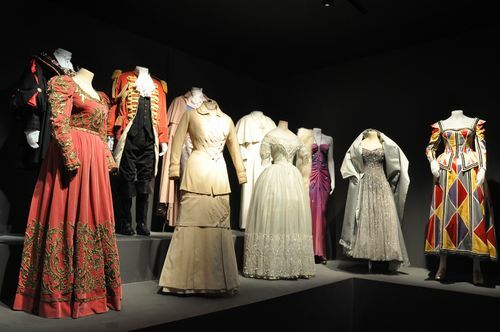 Here's a complete list of free museums on April 21 (in Italian). 9am. Ceremony with Rome's mayor, Gianni Alemanno. Rome's mayor lays a wreath at the Tomb of the Unknown Soldier at the Vittorio Emanuele monument, Piazza Venezia. Pomp and circumstance ensues. 11:30am. Concerts at the Campidoglio. Today it might be best known for Michelangelo's architecture, but back in the day, this hill was one of Rome's most sacred. Stop by for some music while the Granatieri of Sardinia look on. 11:30am. Reenactment of Rome's founding. At the Circus Maximus, the Gruppo Storico Romano performs the tale of Rome's 753 B.C. founding. Who will you root for: Romulus or Remus? 3:30pm. Inauguration of the "Bridge of Music." The bridge, in the Flaminio neighborhood near the MAXXI and other cultural gems, gets inaugurated to the sounds of the band of the metropolitan police corps. 4pm. Concert at the Capitoline museums. At 4pm, the Orazio Vecchi choir will give a free concert in the Pietro da Cortona room. Arrive early to get a seat. 6pm. Historical reenactment of Palilia. In front of the Bocca della Verità, the Gruppo Storico Romano will "perform" the pagan Palilia ceremony, a celebration of spring's arrival that Romulus himself was said to have participated in. 9pm. A "spettacolo" of light projections, performances and music. At 9pm at the Forum of Augustus (in the Imperial Forums), there'll be a show called "Roma/Amor, the birth and resurrection of the Eternal City," celebrating Rome from 753 B.C. right up until today. The Week of Free Museums Across Italy… Is Here! Hurrah — the "week of culture" is here! From now until April 17, Italy's state-run museums and sites are free. (Yay!) 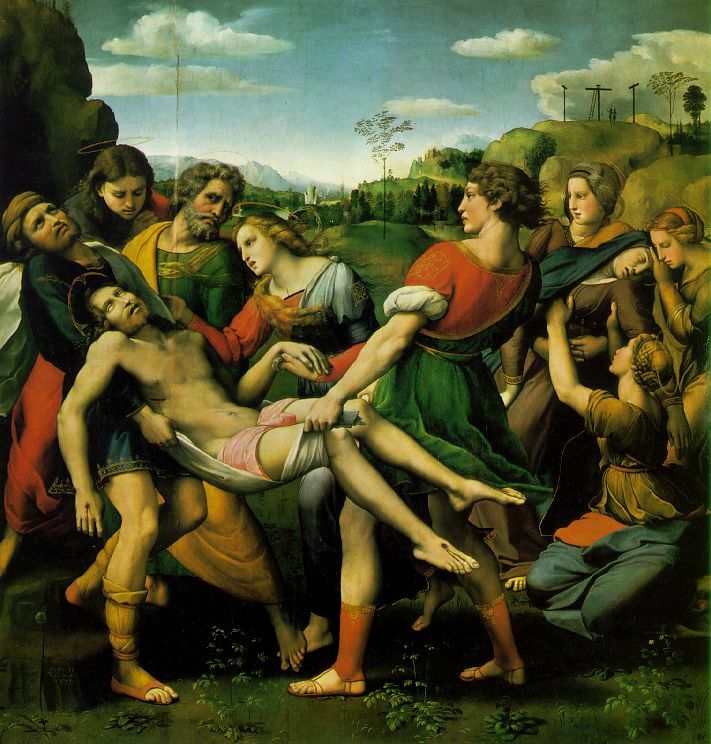 In Rome, that includes the Colosseum, Forum, Palazzo Massimo, Galleria Borghese (where you can find Raphael's beautiful "Entombment," above) and Baths of Caracalla… to name a few. Take advantage! Here's a complete list of sites with free entrances this week, from Pierreci (click on the drop-down beneath the map on the right to choose your region — Rome, of course, is Lazio). If you haven’t been to Palazzo Massimo, then — even if you’ve seen the ancient statues in the Vatican and the ruins in the Forum — you haven’t seen the best of Rome’s archaeological finds. (Note: This post was updated with current information in April 2017). At this museum around the corner from the Termini train station, you’ll find some of Rome’s most famous bronze and marble sculptures — and then some. Treasures like ancient mosaics. 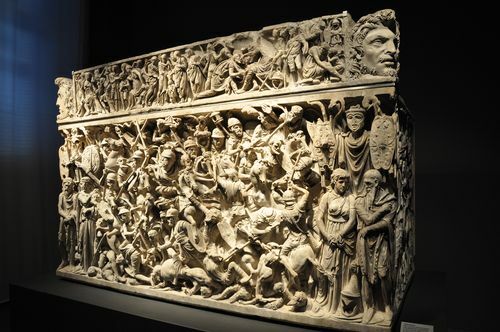 Elaborately-carved sarcophagi. 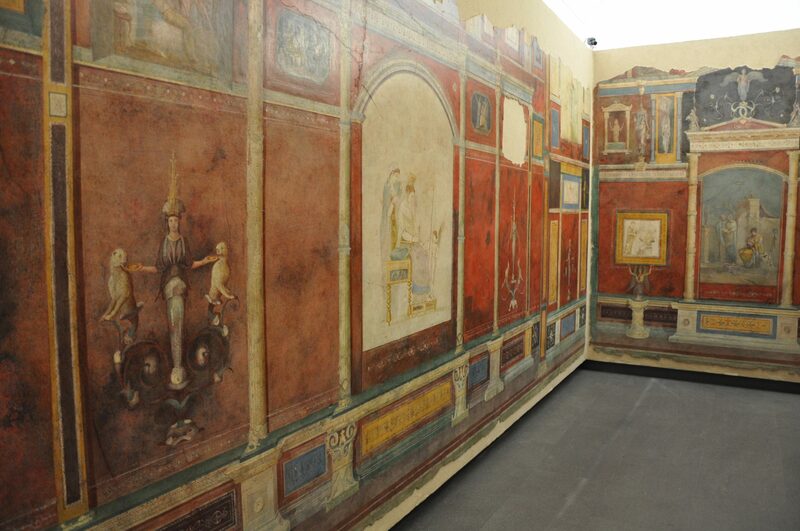 Incredibly-preserved frescoes taken from some of Rome’s most opulent ancient villas. Even the super-cool Fasti Praenestini, an enormous marble calendar set up in the forum of a nearby town. First things first, though: Palazzo Massimo’s two most famous statues. 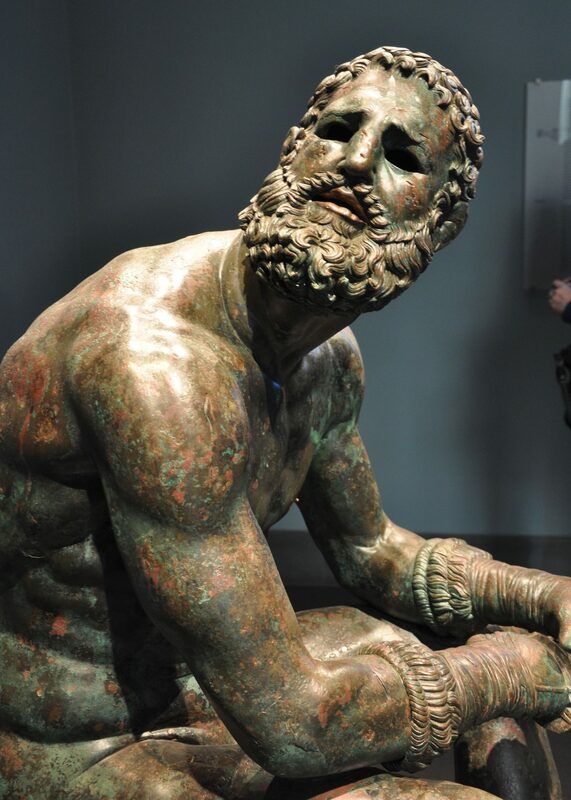 I first encountered “The Boxer” in a college art history class. And lemme tell you, it’s even better in person. You can practically feel the exhaustion and melancholy emanating from the first-century B.C. bronze, slumping after his (unsuccessful?) match. Both this piece (above), and the magnificently-muscled “Prince,” were found at the Baths of Constantine in 1885. But those aren’t the only (rightfully famous) ancient statues. The collection boasts not one, but two, ancient Roman copies of the 5th-century B.C. “Discobolus” (that super-classical athlete tossing a disc). Several beautiful Venuses. A statue of Augustus in the hooded guise of Pontifex Maximus. The only sarcophagus I’ve ever seen approaching this one is the Alexander Sarcophagus. That one’s in Istanbul. 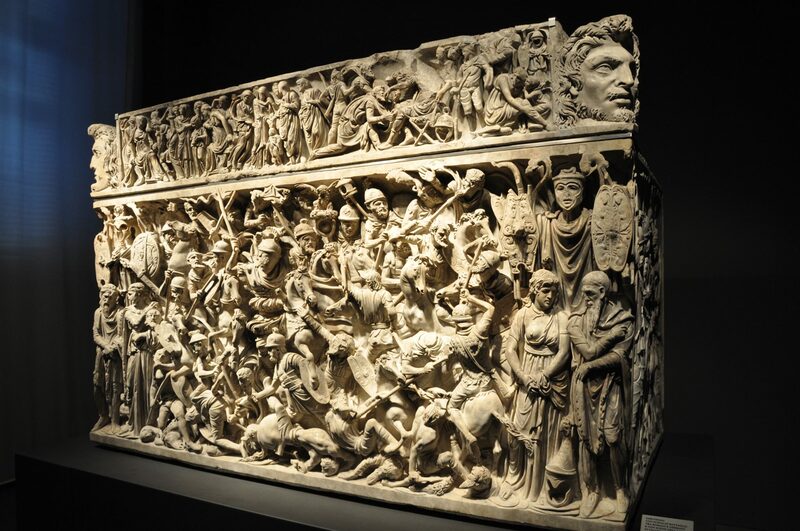 As much as I could go on and on about the Palazzo Massimo’s sculptures and sarcophagi, though, that’s not the real reason why you should go. The real reason is the ancient fresco collection. Not just because it’s fantastic, but because the museum has a whole section devoted to the Villa of Livia, Augustus’ wife. (Confused? 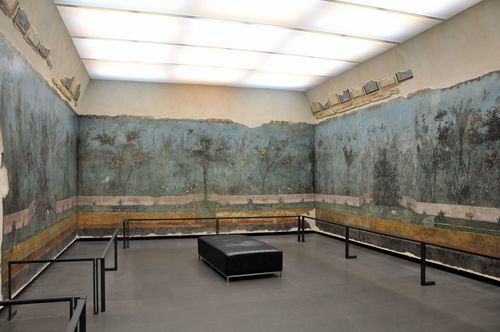 Maybe it’s because I just wrote about the House of Livia and said that you can see it, and its frescoes, on Palatine Hill until March 30. But this is her other house, the one at Prima Porta). Better yet, it’s set up more or less like the villa itself. So you can actually see how the rooms would have looked — complete not just with the frescoes on the walls, but delicate, detailed molding on the ceiling and mosaics on the floors. Pretty sweet. 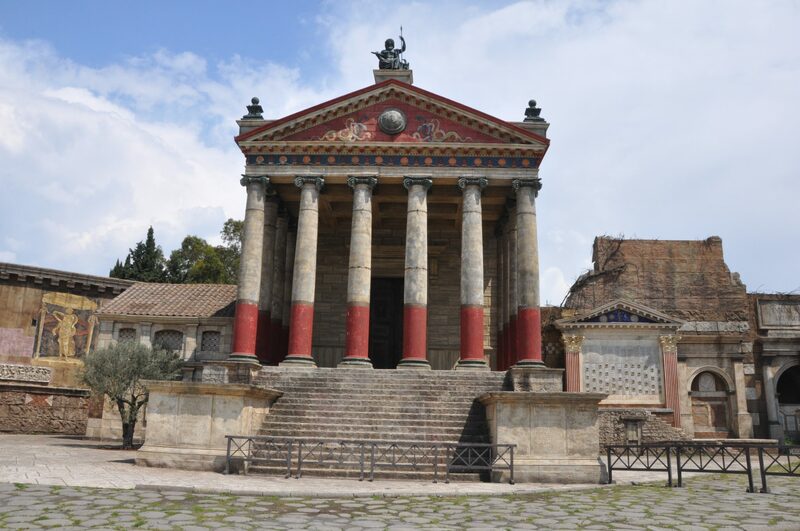 Not quite as incredible as the Naples Archaeological Museum… but almost. Since it’s right next to the Termini train station, you have no excuse not to go. I promise you won’t regret it. Palazzo Massimo is located at Largo di Villa Peretti 1. It’s open every day but Mondays from 9am to 7:45pm; the ticket is €7 adults, €3.50 reduced, and also includes entrances into Palazzo Altemps, Crypta Balbi, and Diocletian’s Baths. 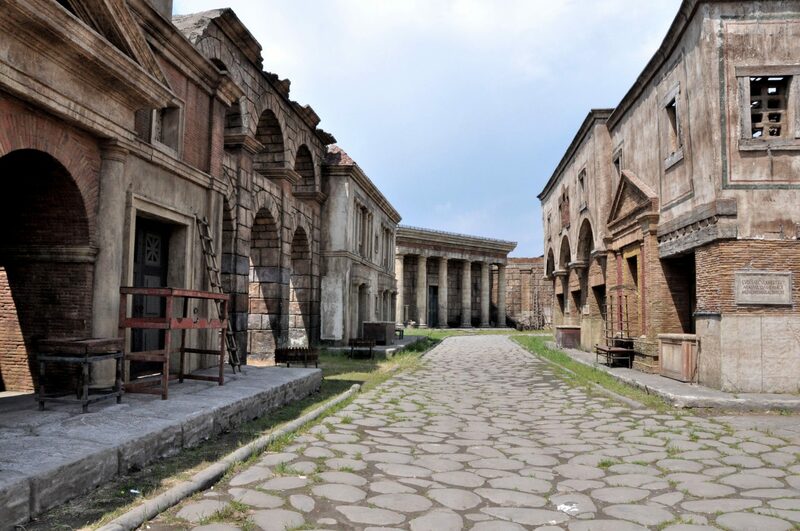 Also: the 2,000-year-old sepulchre hidden underground, the “other” Pompeii and Rome’s very own pyramid. 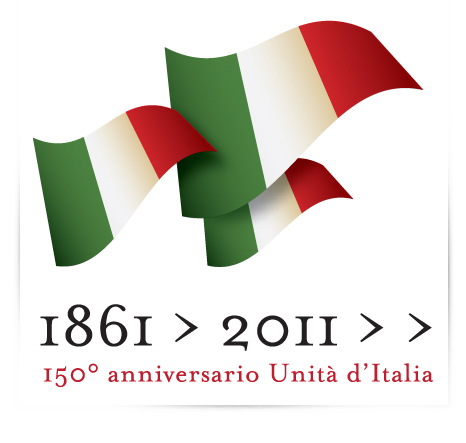 Despite some reservations about whether Italy's ever really unified, Rome's going all-out to celebrate the reunification's 150th anniversary. From this Wednesday night through Thursday, events, concerts and lots of free museum entrances are all part of the package. Light shows: Rome's ruins get prettied up with light shows — from 7pm, check out the Colosseum, Fori Imperiali, and Hadrian's Temple in Piazza di Pietra. Dances: At 7pm, there's a dance show at Teatro Piccolo Eliseo (Via Nazionale 183) for €2. Polka and other genres will be part of the "Dance for Unity" in Palazzo Barberini at 8pm. Concerts: Feelin' funky? Check out the Mo’ Better Band Funky Street Band — either at 8pm in Piazza dei Cinquecento, or at 11pm in Piazza Vittorio. Risorgimento songs are on the schedule at the Piazza del Quirinale concert, starting at 8:30pm. Chiesa Nuova hosts a sacred music concert, with pieces by Rossini, Verdi and Wagner, at 8:30pm, 9:30pm and 10:30pm. Fireworks: At midnight, keep your eyes peeled — fireworks will take place over Celio. Here's the complete Notte Tricolore program (in Italian). Meanwhile, Thursday's a nationwide holiday. Yes, there might be sexism in Italy — even up to the highest levels of government. Yes, it might be so bad that primetime news shows routinely show half-naked women, that the country lags behind in every statistic from the gender gap in wages to the number of female politicians, and that a million women protested in a nationwide demonstration last month. But at least this Tuesday, March 8, women get a break: For Festa della Donna, the traditional Italian holiday for women, all nationally-run monuments and museums will be free for females only. 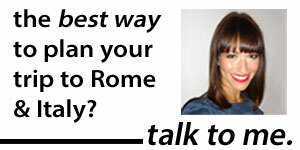 In Rome, that includes sites like the Colosseum and Palazzo Massimo. Hey, it's something. Ladies: Take advantage! 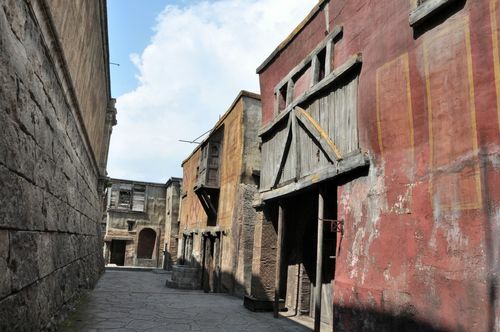 Although I usually focus on events in Rome, I came across some news today that — especially since I just posted on Naples as a great day or weekend trip from Rome — I can't not share with you all. From now until May 30, some of Naples' top museums will be free. 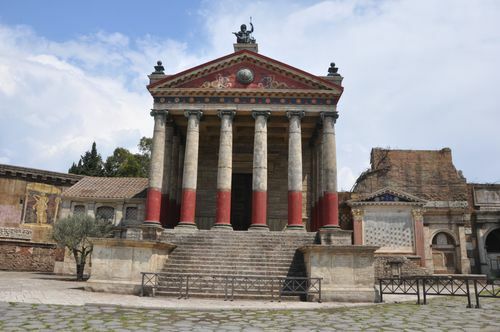 The fantastic Archaeological Museum, unfortunately, doesn't seem to be included, but the museum at Capodimonte (remember, the one with all of those famous pieces by artists from Botticelli to Caravaggio) is. That's €7.50 saved. You can buy two whole pizzas with that kind of change. The Capodimonte, as well as the museum at Castel Sant'Elmo and the Certosa and Museum of San Martino, are free from 8:30am-10am and 4pm-7:30 through May. 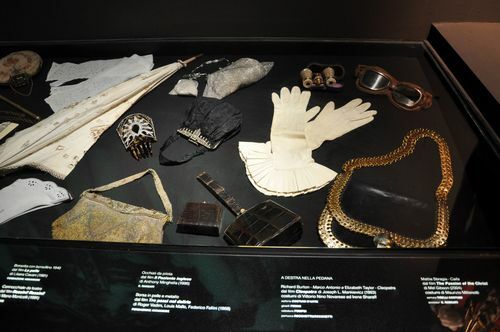 The museum Duca di Martina is free all day (8:30am-2pm). Click here for information on Naples' free museums from Pierreci. With the new year come new taxes — this time, for tourists visiting Rome, Italy. The "tourist tax," which went into effect Jan. 1, applies to any nonresidents of Rome who will be participating in tourist-like activities — including staying at a hotel or campsite. So far, it's €3 per person, per night for those staying at 3- and 4-star hotels, and €2 for those at lesser-starred accommodations. The hotel tax is applied to the first 10 nights only. Campers have to pay €1 per person, per night for the first 5 nights. Tourists will also be charged €1 extra for entrance to museums. (Yes, apartments and B&Bs also count). No word yet on if tourists also will be charged extra at souvenir shops or mediocre faux-Italian restaurants. (Kidding). While the tax itself is less than you would pay for, say, a couple of bottles of water, what'll probably be more annoying for visitors is how it's implemented. (Hey, it's Italy!) The tax can only be paid in cash, and the hotel fee is settled at the end of the stay. So make sure you don't give away ALL of those extra coins before you check out. The upside: The some €80 million that Rome expects to reap from the tax annually will go to Rome's cultural heritage and infrastructure. 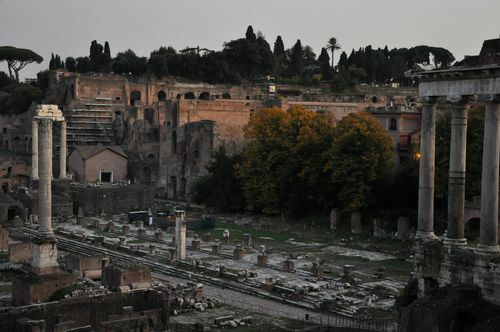 And as I've written before, Rome's ruins are crumbling — so if you want to keep the Eternal City "eternal" enough for your kids to experience it, adding a little to the coffers ain't all bad.